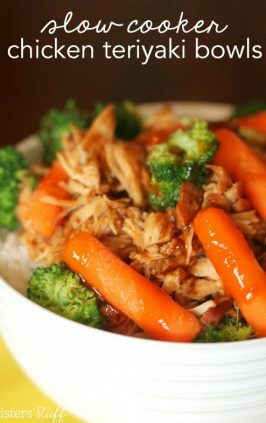 This Crock Pot Hawaiian BBQ Chicken is quick, simple, full of flavor, and thrown together in just minutes. This is a perfect dinner for those busy nights and the pineapple in this recipe adds the perfect amount of sweetness to the recipe. Join us on Facebook to see our latest recipes. I don’t feel like cooking lately (as I have a very naughty boy on my hands), so I threw this together and it was REALLY good. And probably the easiest meal I have ever made. I used the Archer Farms BBQ Sauce, however, it had a little kick to it. If you are not a fan of spicy, I wouldn’t recommend using it. My kids still ate it, but be warned, it has a slight kick to it. 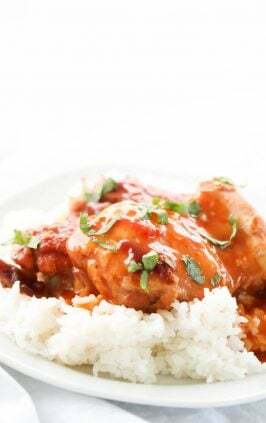 You could also use any other type of Hawaiian, Teriyaki, or barbecue sauce mixture for this chicken recipe. You really can’t go wrong with this one, it is so quick, simple and delicious. Target has TONS of good sauces! So much easier than making your own! This has pineapple, orange and mango it! Mmm! Just dump it all in! what other chicken could i use for this recipe? For this recipe, we used chicken breasts. I think they are a bit more juicy and we prefer the white meat. If you use breaded chicken, we recommend baking it in a 9×13 inch pan at 400 degrees F. for about 20 minutes. 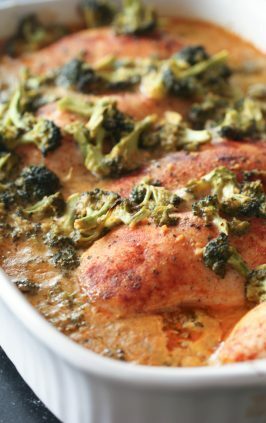 Could I make this recipe into a freezer meal? I am all about freezer meals. I feel like I hardly have any time to cook these days, so if I can quickly double a recipe that is as easy as this one, and freeze half of it for later, I love that. 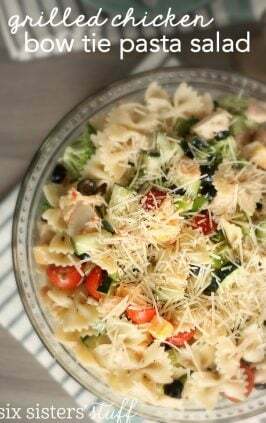 This recipe is so easy to throw into a gallon size ziplock bag and keep it in the freezer for up to three months before using it. It saves time and money. To thaw it, I will place it in the fridge for about 2 hours (or the night before I cook it), then put it in my slow cooker and cook as directed. If you cook it thawed, it will only be about 3-4 hours on low. Spray the inside of your crock pot with cooking spray for an easy cleanup! Place frozen chicken breasts in the crock pot and cover with sauce. Empty can of drained pineapple chunks on top. Cook on High for 2-3 hours or Low for 4-6 hours. Shred chicken with two forks while still in the crock pot so the chicken will be well coated with sauce. Serve over rice. Sometimes I also throw in a chopped up green pepper and chopped onion . . . it tastes good with or without it. Sounds soo yummy! Thanks for the idea! Thanks for visiting my blog. Happily following you back! This looks really good. I think I will make it for dinner tomorrow. :) I'd do it today but am too lazy to run to Target. This looks absolutely fantastic! I bet it would be great inside a tortilla too! 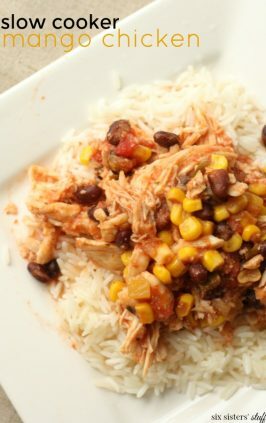 I'm always looking for good crockpot meals, I can't wait to try this one! OH MY WORD! That looks awesome! I'm totally going to make that! I'm new to your site, but I'm definitely coming back! Thanks for this tasty recipe! I am excited to find you!! Also interested in meals for kids 8 and 4. Quite picky I might add. We have that sauce at home and it's wonderful! I'll have to buy another bottle to use for making this in the crockpot. Thanks for the great idea! My mouth is watering just from reading this! Will definitely try this! I made this tonight and it was so good! It even had a little kick to it :) Thanks for sharing! Made this for dinner tonight! Was so easy and delicious, plus my husband LOVED it!!! Thanks! I'm making this for dinner tonight. How much BBQ sauce did you pour over the chicken? That might be a super easy question, but I've never cooked anything other than mac-n-cheese...so I'm not cooking-smart yet. I am so trying this !!! What size is your crockpot? Mine is tiny, tiny... I want to know how to adjust. Thanks! The crock pot can be a busy woman's best friend. Thanks for sharing this...can't wait to try it. I have chicken breasts in the crock pot right now with Lawry's Sweet & Sour BBQ Marinade. Will serve it over rice with a salad. If you haven't tried any of the Lawry's marinades they are fantastic! Just made (and ate) this as my first ever self made crock pot meal and it was so easy and absolutely delicious. Thanks so much for sharing this recipe! I just wanted to pop in to say that I tried this recipe and it was AMAZING!! It's so flavorful, and you just throw it in the crockpot in the morning and it's ready by dinner time. I cooked the chicken for about seven hours on low (my slow cooker seems to take a little longer than most recipes require) and the chicken was super tender and fell apart by dinner time. One suggestion - next time I'm going to add in peaches! I thought that would give it a little extra flavor and it'd be even better! i put this in my crockpot this morning. i can't wait to get home and try it. i never realized how many different sauces target has! Found this on Pinterest!! It's what's for dinner tomorrow at our house! Sound delish!! Thanks! I'm making this this week! It looks soooo YUMMY!!! 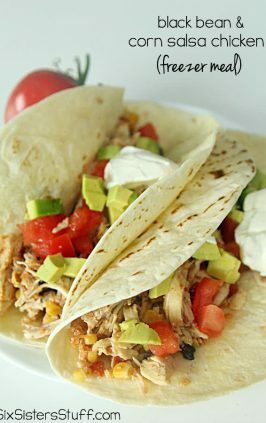 I have this in the crockpot for dinner tonight, thanks to Pinterest! Using kroger-brand teriyaki sauce since I had that on hand. Can't wait to check out Target for their sauces for another variation. THANK YOU for this amazingly easy and yummy recipe. I made it tonight (added some carrots and 1/2 onion). This is definitely going on my list of go-to dinners! Saw this on Pinterest and can't wait to try this tomorrow! Thank you! I love this recipe and I would vouch to say you are not as lazy as you think......you have a BLOG for goodness sake. :) Keep up the great work! I am so excited to try this for our dinner on Saturday! It looks so yummy and I am just tickled to come across this blog site! Keep up the great work! Very easy to prepare, but my younger boys and myself found it way too spicy. However, my teenage son and husband thought it was perfect! I cook this Sunday, and I have to agree with the other posters, this was absolutely amazing. My dinner guest loved it, even took some home. Thanks for sharing! I'm trying this for the first time today - just turned the crock pot on. Can't wait to try it! I agree! I went to Target to get the sauce and to cook enough for everyone I would have to buy at least two bottles. I was kinda bummed out as I wanted to try it but couldn't bring myself to spend more on the sauce than I did on the chicken. However I think I am going to try the sweet baby rays that a previous poster said they used. Can't wait to make this dish this weekend!! Looks yummy!! If your looking for a little more sweetness, add brown sugar or honey to the recipe. A few tablespoons. Also, cook the rice in chicken broth with parsley added. We ate our on sliders with some provolone cheese...delicious!!!! Making this right now, for dinner tonight! I got a Hawaian Sweet and Sour Sauce, at Shur Fine, to use! Can't wait to taste it!!! Gotta love Pinterest! Thanks for sharing this recipe! Found it last night on pinterest and made it today! Woohoo - big hit with the fam! I didn't have time to run to Target for the special yummy sauce, so just combined our fave bbq sauce with teriyaki. When I was ready to serve, I took the chicken out & cut it up & then mixed some soy sauce & apricot preserves into the sauce and spooned over the top. Served with jasmine rice & stir fry veggies. Delish! Thank you! This looks delicious! That sauce isn't available in my area so I'm going to try it with a Hawaiian sweet and sour. Is there a sauce that's like the Archer Farms that's easier to find? I hope the sweet and sour turns out OK. Thanks for the recipe! Cannot wait to try this, it is currently cooking in my crock pot and my house smells wonderful. I have already passed the recipe on to friends as well. So excited! I am cooking this right now, and the same as many other comments I am using a different bbq sauce (Caribbean Jerk BBQ sauce from KC Masterpiece)! 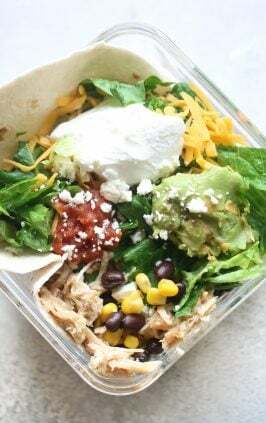 I am hoping my crock pot cooks fast enough so I can have this for lunch at 1:00! It just smells too good to wait for dinner! Just wanted to put this out there. Though I, being an adult, loved this, it is WAY too spicy for young children. I was really excited to make this for my family, but after I put the sauce over the chicken I tasted it and was like "wow, looks like I'm making PB&J for my toddler tonight..." Parents be warned. Not all kids hate spicy food! My 2 and 4 year old were able to eat it! I have to say my husband and I hated this recipe. And I was excited because it was so easy. Definitely wouldn't make it again. Best ever!!!! My 2 year old has been super picky lately, and she ate every bite!! and had seconds! My Target is clearly smaller than yours (lol) so I bought Lawry's Teriaki Marinade. This might be a good alternative for anyone who doesn't think they would like the Hawaiian BBQ. I used Sweet Baby Ray's Raspberry Chipotle sauce and we all loved it!! I think that would be good! Like a sweet and sour meatball. Going to try this for dinner tonight! Excited to see how it turns out! Found this on Pinterest! In the crock right now! Thanks! I'm making this right now, I didn't have the target Hawaiian bbq sauce though so I just used regular bbq sauce. I'm looking forward to it! I think it would be delicious with meatballs! Let us know how it turns out! This was amazing! I added a couple tbsp of chopped green onion just for kicks. Family loved it too, so will be a regular menu item. Thank you! Sounds amazing, i just have a quick question.. how long should i put the chicken in for if the chicken is completely thawed out?! @Unknown- If your chicken is completely thawed, I would cook it on high for 1.5-2 hours OR on low for 3-4 hours. Any longer than that and your chicken might dry out. 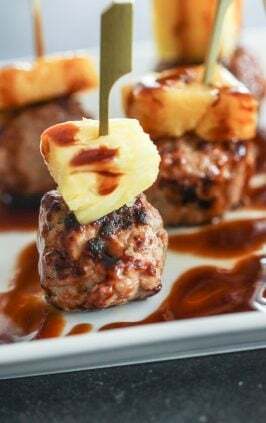 Those of you that have tried the Lawry's Hawaiian Marinade in this recipe how did it turn out? I just bought all the ingredients,can't wait to cook it up this week! We LOVED this recipe and have made it several times since I first found it on Pinterest. I too am looking for an alternative to the Archer Farms because I find it is pricey. Lots of good substitutes out there by the looks of the comments. I would agree that it has a slight kick to it - and I would also agree that there are a lot of kids out there that love a kick to their food, it's all about what you get to experience. I did add a can of mandarin oranges too, I think maybe they were overpowered by the other flavors, but it was nice to bite into regardless. Additionally, the next time around I will use chunk vs crushed pineapple (which was all I had the first few times) because I love hitting the chunks of fruit. Thank you so much for your blog! Loved this made it for dinner tonight....I shared on my blog. You guys have an awesome blog Im soo glad I found you guys!! Thanks for all the great stuff. How long should you cook it for if your chicken is not frozen? If your chicken is completely thawed, I would cook it on high for 1.5-2 hours OR on low for 3-4 hours. Any longer than that and your chicken might dry out. Thanks for sharing! Can't wait to try it! Do you think it would taste good still without the pineapple? Wow, very yummy and definitely the easiest thing I have ever made! 5 stars! It was too spicy for my little guy but hubby and I loved it, we even added red pepper flakes because we love spicy stuff! Thanks for the great recipe! I just made this for dinner tonight and everyone loved it. I served it over yellow rice and with steamed broccoli as a side. Simple and delicious. I will definitely make it again soon. I made this today. So good! I cooked it on low for 4 hours in my old crock pot. I just shred the chicken and put it back to cook some more since it was not done, but that's OK! I was worried it was going to be too saucy but with 5 chicken breasts this worked out perfectly. I was also worried about the spice level due to some comments, but my taste buds must be growing because it has the perfect amount. I didn't add the pineapple either but it's going to be so good! I did sneak a bite before I cooked the rest of it and I can't wait for it to be done! Thanks for the tip! Definitely making this again. I only use my crock pot on weekdays for an easy dinner after work. I made this today, leaving it in the crock for 10ish hours and it was awful. I came home to a slight crusty edge from the BBQ sauce. I picked it out. Made some brown rice. The flavor was very very concentrated and the pineapple was no good. I looked for any reviews that cooked it for 'work day' length of time but didn't really see any. Le sigh. I'm glad it's good for the shorter amount of time, but unfortunately it won't work for me! Hopefully this helps others. It's me again! Last night I turned this recipe into a Hawaiian Haystacks meal. In the crock pot I mixed together, with a whisk, the entire bottle of BBQ sauce, the pineapple juice from the canned pineapples, and two cans of cream of chicken soup. I cut up 4 chicken breasts into three chunks each and placed them in the sauce. I blended up the pineapple chunks (just a little bit) in a food processor and put that on top of the saucy chicken. Cooked on low for 6 hours. 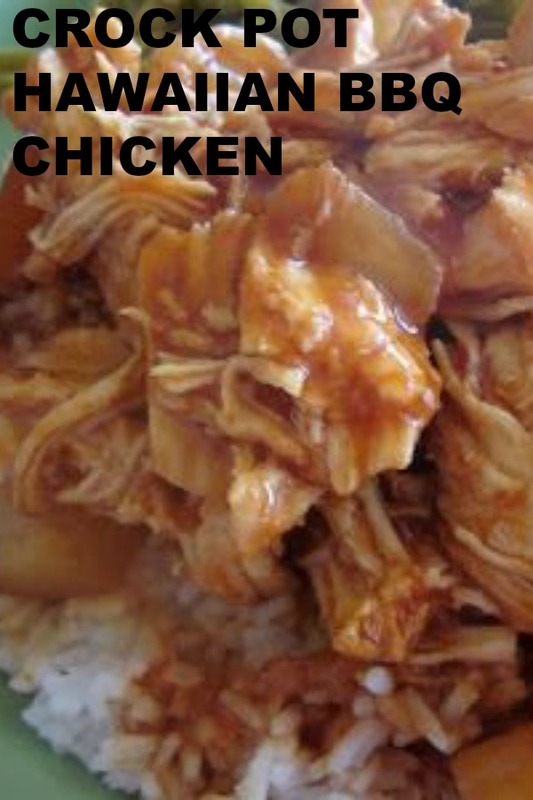 The chicken pulled apart so nicely, and after I put it back in the sauce it was perfect for serving on top of rice. There was much more sauce to make it a nice and moist meal, and the cream of chicken soup toned down the spice. I served it with cheese, lettuce, tomatoes, pineapple and chow mein noodles for layering on top, and of course rice to put the saucy chicken on. So to Christy, and anyone else who has the problem of the original recipe not working well for longer periods of time: experiment! I'm sure the mixture I made would successfully cook for 10 hours. Thank you Six Sisters for the great idea! I made this last night, and my family loved it. I is a keeper. Thanks for the recipe. or throw in with some teryaki sauce! YUM! Made this tonight and it was a BIG hit!! Definitely adding it to my recipe binder! Thanks!! I heard that you are not supposed to put FROZEN chicken into the crock pot because there is the risk that it might not reach the safe temperature of 165 degrees. I think this recipe sounds GREAT!!! but I wanted to share that for safety's sake. I have bought them at Target. They're sold alongside the foil, plastic wrap, etc. They come in a box of 4. I would like to make this however where I live...midland mi...I can't find archer bnrand bbq sauce...its a target brand but they don't sell bbq sauce & won't order any either...i ve also checked kroger,meijer & walmart no luck...I could just use a diff brand but I'm picky I want the same bbq sauce...anyone know where I could buy it in MI? Would this work with a pork loin? How long would it need to cook? Just FYI - it's not recommended to ever put any frozen meats into a crockpot. The extra time it takes the crock to thaw the meat before it can start cooking allows bacteria to grow and you can get sick. Have it in the crock pot right now. I used pork, since that's what I had on hand. And I had to use regular bbq sauce because all the "hawaiian" ones have mango and my daughter is allergic to mango. Hopefully it's amazing! I've got this cooking at home in my Crock Pot right now! Thank you for the wonderful recipe idea! Is is crocking now! I doubled it as I like to have leftovers for lunch. Thanks for the recipe! Made this last night. It was not bad, but my boyfriend and I were not crazy for the flavor of the Archer Farms Hawaiian Style BBQ sauce. I would recommend taking a taste of it before pouring the whole bottle into the Crock pot! This is delicious!! Made it with regular bbq sauce on low for 5 hours, so moist! Served over brown rice. Thanks! Is there any way this could be doubled and cooked on the stove top? I love this recipe and so do my kids (2 & 3 year olds) and I want to make it for our family get-together this summer w/ some polynesian cocktails. I don't think my 6 qt crockpot is big enough. Any thoughts on stove top prep? Thanks for all of your recipes! I think that you could easily double this and cook it on your stove top. I have never tried it, so I am not sure the best way to go about doing it. I would possibly try cooking my chicken first, then adding it to everything else. Good luck! You can also throw it in the oven. My sister-in law does a take on this...she takes thawed chicken breasts, any kind of BBQ sauce and a small can of crushed pineapples...and she throws the crushed pineapples over the chicken then puts enough BBQ sauce over the chicken to coat it. She bakes it in a Pyrex 9x13 for about 30-45 min (until the chicken is done). Then shred it. We eat it in a tortilla wrap with lettauce, tortilla chips broken up and a little extra BBQ sauce all wrapped into a tortilla. Eating it as a pulled chicken sandwich on a bun is also delicious!! I think this is really tasty! HOWEVER, this sauce from Target has quite a KICK to it! It's in the crock pot (done) and I'm not sure my young kids can handle the spice, my husband either for that matter. I think I'll try it again with a different sauce. It's SUPER easy, that's for sure! I never heard of your blog until I googled pineapple chicken and crockpot. Now I'm seeing your name on lots of blogs! I will definitely remember this site because there are six girls in my family too! I am the second of six girls, no brothers! My target didn't have the BBQ sauce so I just bought a regular bottle. It was still tasty but not Hawaiian at all!! I'm thinking next time I'll add terryaki sauce!! Found this on pinterest and it was great! I just didn't realize how spicy it was... at least my kids ate all of their veggies! 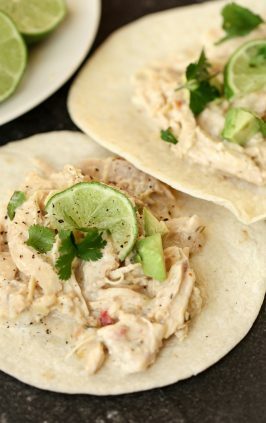 I bet this would be delish on tortillas (soft or crispy) too - Hawaiian Chicken Tacos!! Must try soon! Kroger brand 30 minute Hawaiian marinade and Teriyaki marinade(mostly using Lawry's.) I served it over Uncle Ben's 90 second Rice Pilaf. It was so good and so easy! I will definitely be making this again and SOON! It was tasty! Next time I am making this as hawaiian sliders on those yummy Hawaiian rolls! I used equal parts Great Value peach chipotle salsa and Sweet Baby Ray's original bbq sauce. It was amazing! Cooking this tonight!! I was too lazy to go to Target for the sauce so I just used "Secret 7" BBQ sauce (it was on sale at Kroger) and I'm just adding some of the juice from the pineapple to hopefully compensate!! I dumped the entire can of pineapples - liquid and all in the crockpot. :/ I guess I was too excited and didn't read the directions right - anyone make that mistake and not have any issues? I've read that for food safety you shouldn't put meats into your crock pot frozen because they might remain at a low temperature too long - just a heads up. Made it last night for a church potluck later today. It smells and taste amazing! Can't wait to see if the choir likes it. This is now one of my husband and I's fav's. One of few recipes that is on about an every 2-week rotation. Amazing over white rice seasoned with a little ginger and ground red pepper or with King's Hawaiian Sweet Rolls for a mini-slider deal! Is it alright to use marinade instead of barbeque sauce? Made this yesterday and it BURNED! I set my crock pot on low for 6 hours (it switches to warm after the time is up) and added extra liquid since I knew I was going to be at work longer. I came home after about 8.5 hours and it was burned all around the edge about 2". And oh my gosh did my house stink! The chicken in the middle was ok, but anything touching the sides was done for. I've never burned anything in my crock pot before so I'm thinking for me this just isn't the best to be in for longer than 6 hours. Im making this tonight on low. I cant wait to see how it taste. I love all the feedback. It helps me determine if I should try new recipes. But i have to admit im skeptical about its simplicity. 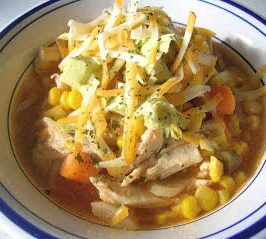 I needed a quick crockpot go to recipe for some chicken I had forgot to freeze. This was perfect. I only had some generic bbq sauce on hand and it seemed a little bitter for my liking. I ended up throwing in some cinnamon and honey which was perfect. Served it over some white rice and everyone loved it. My mom said it made a perfect sweet and sour type sauce and she is PICKY about sauces! This is a recipe I'm keeping!! I want to freeze leftovers. But how do I reheat it without being a soggy mess? Thank you! I would just thaw it and then reheat it in a microwave safe bowl. How many would you say this serves? I'm looking for a crock pot meal for 9 adults, 2 kids and wonder if I would need to double this. Would it even be possible to double this in 1 crock pot? Thanks! we're not a huge fan of sweet for dinner ... definitely a more savoring family. 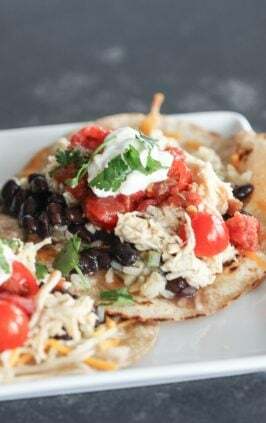 That being said - thinking I'm going to make it with regular bbq sauce and the canned pinapple (maybe add in some of the pineapple juices) and make a whole wheat Hawaiian Chicken Pizza out of the shredded chicken! 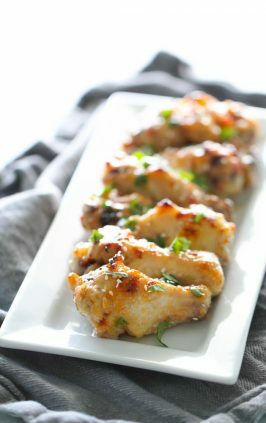 :) love that you can use frozen chicken breasts! I just threw this in my crockpot...and forgot to drain the pineapple so I hope it comes out ok! I used Sweet Baby Ray's Raspberry Chipotle BBQ Sauce because I didn't feel like going to Target, lol. It should be fine. It doesn't have that much pineapple juice in a can. If anything, just will add more liquid! :) Have a great day! Love this recipe! I make it quite often because it is just too easy! I tried this recipe out because it sounded delicious. I had the crockpot on low, but for longer than 6 hours while I was at work. When I returned home, the chicken did not turn out as expected. It had a very smokey flavor that was VERY unpleasing. I made the best of it and put the chicken on a tortilla, added some avocado, cilantro and lime juice. The Hawaiian Chicken became Mexican! I won't be using this BBQ sauce again. We loved this! Made it with 6 breasts and two cans of pineapple. Based on the reviews saying it was spicy, we included juice from one can of pineapple. I think next time I'll do one can of drained pineapple chunks and one can of crushed pineapple. AMAZING and so easy!! The tip to shred them in the stand mixer was the best idea. Makes this meal super fast! Made this tonight... I didn't expect it to be as spicy as it was and it was a lot less sweeter than I had hoped for... I added in the pineapple juice from the can to sweeten it as well as some brown sugar and it made a world of delicious difference! Can't wait for lunch tomorrow! Madw this tonight using crushed pineapple. It was absolutely amazing! Big hit with my family! Made this yesterday with fresh (not frozen) chicken breast. Planned on 2 hours on high based on recommendations above. However it took 4 hours on high. Had to do something different for dinner since this didn't get done until about 9 pm. Had a few bites though to try it out and it is delicious! Wish there was a way to cut down on the sugar content. BBQ sauce is so high in sugar. I WILL be making this again! I am making this tonight, only I used a 26 oz can of peaches in light syrup, added a whole sliced onion and used Burman's hickory bbq sauce - delish! I also browned the chicken slightly for added flavor and oil. As a Native Hawaiian, I am curious as to why people make up dishes and call it "Hawaiian" when this is nothing like native Hawaiian food. Ignorant people who just add pineapples to dishes like to throw the name "Hawaiian" on it, when in fact, no Hawaiian nor anyone in Hawaii ever cooks with Pineapple in a dish like this. 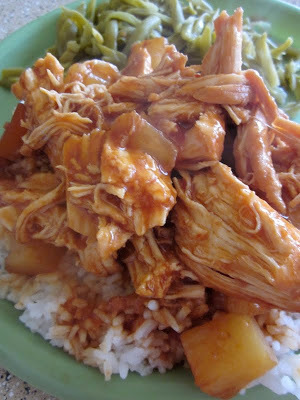 The classic "BBQ" Chicken is Hawaii is called Huli Huli Chicken and it is made with Huli Huli sauce, there are no pineapples, mangoes or fruity things in the dish. Made this tonight and my family and I love it! Thank thank you for this recipe will make again! I don't know if the recipe for the Archer Farm's sauce has changed since this recipe was written, but I just made this for dinner tonight and the sauce seemed to be watered down and bland. It still tasted pretty tasty, nonetheless! I'm just probably going to experiment with other Hawaiin sauces next time. Thank you for the recipe and the idea! would this work with chicken thighs? my husband doesn't like white meat. Also, how long would you cook it for? thanks! Just watch it closely. You may have to cook it for a little longer when using thighs. I love this dish! Is anyone else having finding the Archer Farms BBQ sauce lately? I have checked several Target's and I can't find it.